It's our tradition to go to Juliette et Chocolat every time we come to Montreal, and during this trip, we sure did go there to have some chocolate. 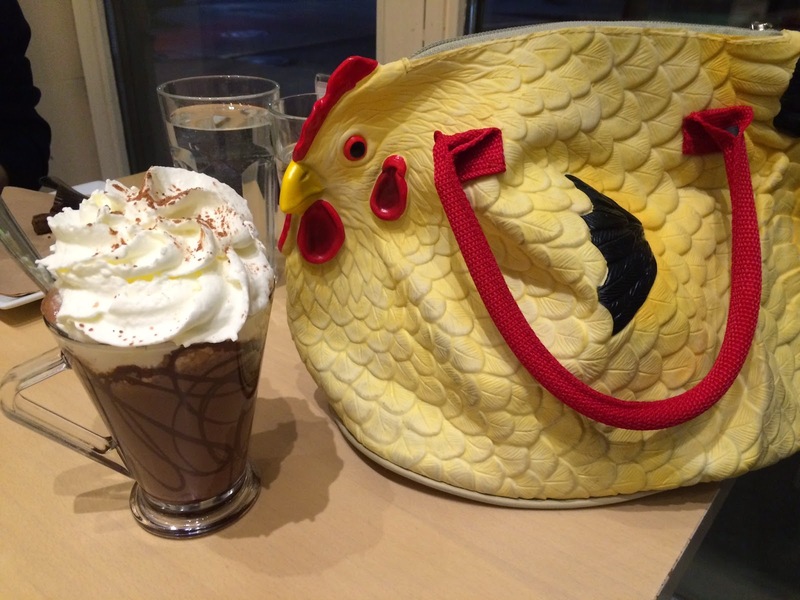 This time, I ordered The Viennese Chocolate and it's described as "Our grandma's style milk hot chocolate with melted dark chocolate and whipped cream." Inner side of the glass, there're melted dark chocolate lines. On the top, there's a mountain of whipped cream with cocoa powder. 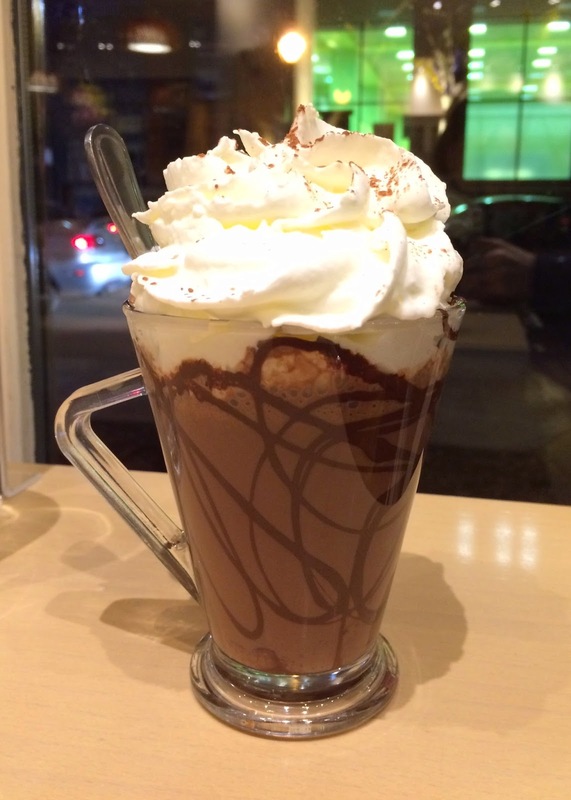 Underneath the cold whipped cream, there's very sweet and light textured hot chocolate. 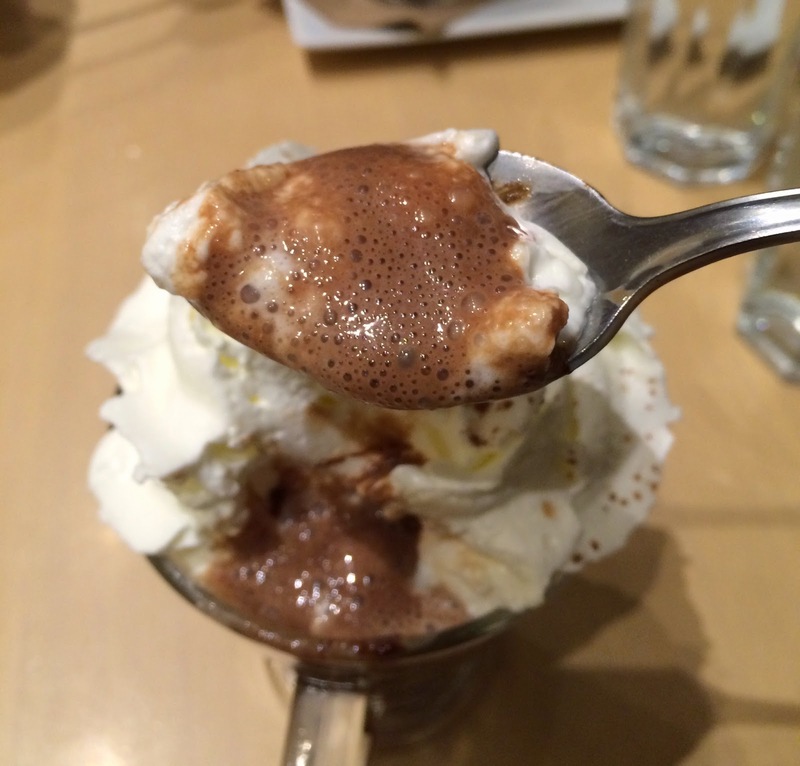 Some drinks are very thick, bitter, and sour depending on what kind you get, but this one was very traditional and everyone-loves hot chocolate with a generous amount of whipped cream. 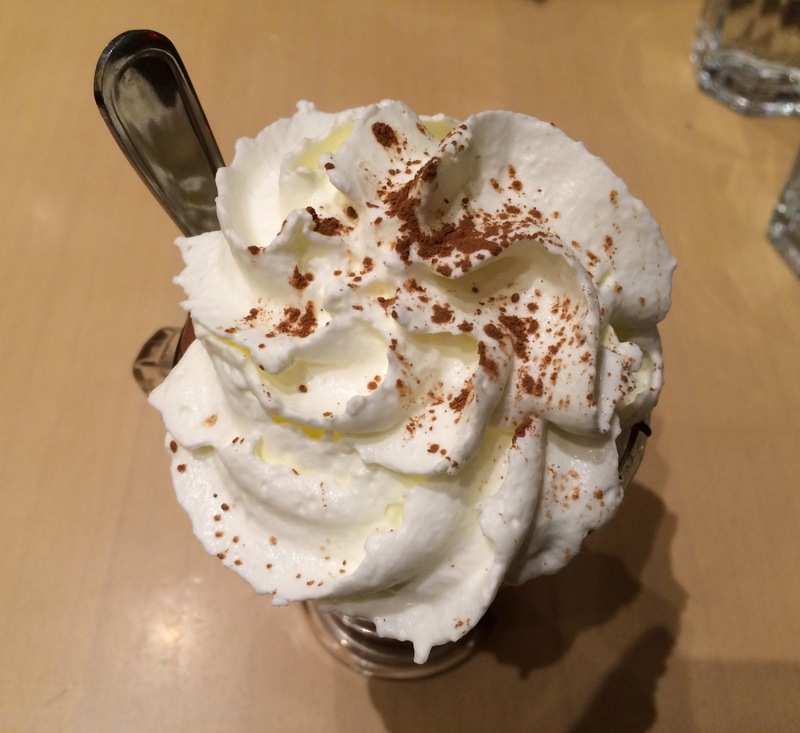 The dark chocolate swirls didn't add much flavor since the hot chocolate and the whipped cream were very sweet.